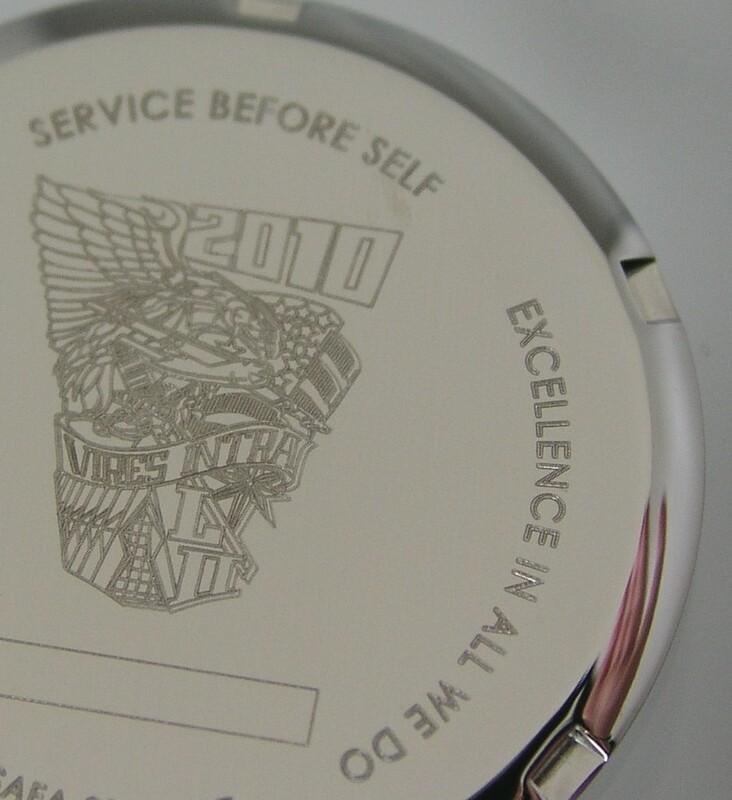 Laser Impressions is Your One-Stop Laser Engraver - Laser Impressions Inc.
Laser engraved stainless steel watch back precision engraved by Laser Impressions. Laser Impressions is an industry leading laser engraver, providing laser etching service and laser marking services for industrial, medical, aerospace and promotional products. Electronic Components: From serializing silicon wafers to laser engraving metal and plastic packaging for microelectronic circuits, Laser Impressions offers a complete marking solution for the electronics industry. Medical Instruments: Laser Impression’s medical engraving process is popular with medical device manufacturers due to the clarity and permanency of the mark. Industrial Components: For industrial applications, laser engraving is the optimum marking method, offering permanent laser engraving, laser etching and laser marking on a wide array of materials. Laser Impressions has the ability to laser engrave large hard to handle components as well as etch small parts & complex shapes. Promotional Items: Laser Impressions’ laser engraving process allows personalization and custom engraving of a wide spectrum of personalized promotional items at resolutions up to 800dpi. Engraved Bricks: Laser engraved bricks provide a totally unique and cost-effective avenue for fundraising, personalized landscaping and gifts. Visit our sister site at www.engravedbricks.com for a complete portfolio of brick engraving and fundraising services from Laser Impressions Inc.